Chuck Norris took the shot. Your mind.... it is being f..cked with. 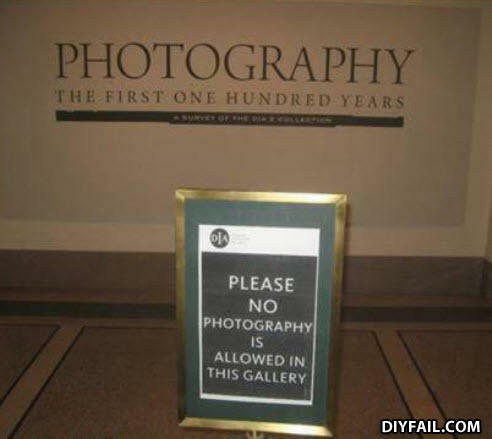 It's a photo of a sign saying don't take photos in a photo gallery. M I N D F U C K E D .
"Thank God you're here. I haven't been able to take a shower in three days."